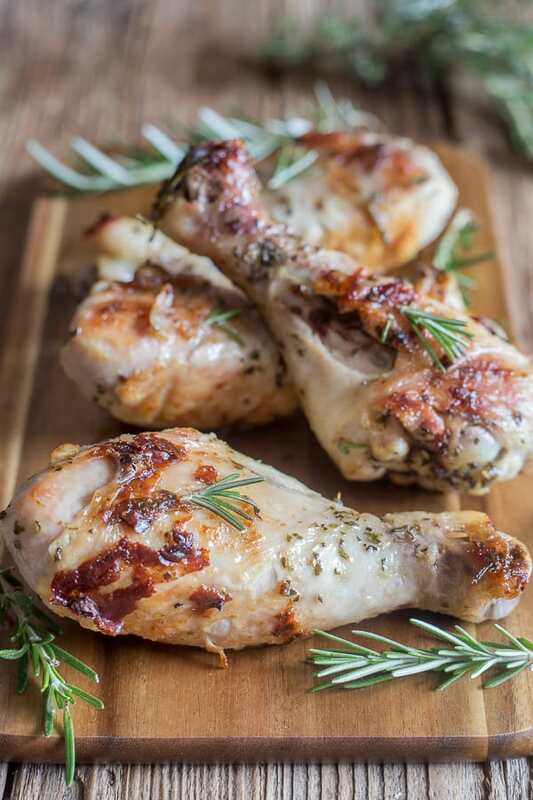 Italian Fried Chicken, pan fried in a little olive oil and a few Italian spices, makes this a quick and easy chicken dinner for any day of the week! Italian Fried Chicken, one of my family’s favourite dinners. If you are looking for something quick and easy and so good, then this is it. No need for any heavy bread covered chicken, just a few spices and pan frying! What a wonderful Saturday I spent with my husband and my two daughters. After much planning, almost 10 years, we finally got our act together and went to visit some friends in one of the most beautiful provinces in Italy. A place called Viterbo and the town we visited is called Soriano once again I put on my walking shoes and played tourist to take in this “take your breath away” beautiful town. Ahhh but one thing I love about Italy is that Italians love to stop two or three times during their walk for a cold drink or better yet a gelato. And gelato I ate. It never seems to amaze me that in Italy even an abandoned building has its beauty. These small towns are wonderful, there were so many people out and about and so many different festivals, music, magic shows, take your pick. 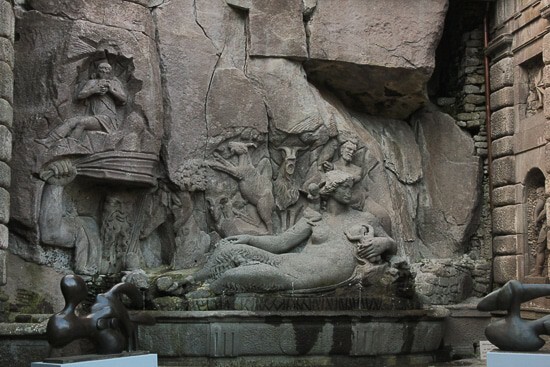 If you ever visit Italy be sure to take a side trip to Viterbo! It is not a big secret that besides gelato I absolutely love pasta, but I have to admit there are some meat dishes that I enjoy making and eating almost as much as pasta and this Italian Fried Chicken is one of them. How is Fried Chicken made? then remove the lid turn up the heat and let it fry to perfection! So good. This quick and easy Fried Chicken Recipe makes the perfect any night of the week meal. Buon Appetito! Italian Fried Chicken,a delicious moist and tender chicken dish. Made with fresh Italian spices, fast and easy, the perfect weeknight recipe. 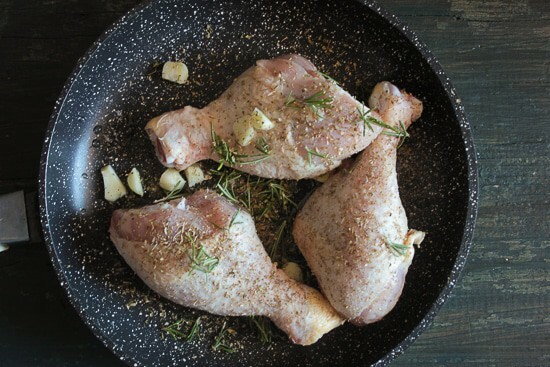 In a medium- sized frying pan add 2 tablespoons (26 grams) olive oil, add the chicken legs, sprinkle with half of the ingredients oregano, thyme, salt, rosemary leaves and chopped garlic turn the legs and sprinkle with the remaining ingredients. Add the water and cover cook on high heat until boiling then lower heat to low/ medium for approximately 35 minutes (check occasionally), check for doneness after 30 minutes**, if cooked remove cover raise the heat and cook until water has evaporated. Turning to brown on both sides. Serve immediately. Enjoy! 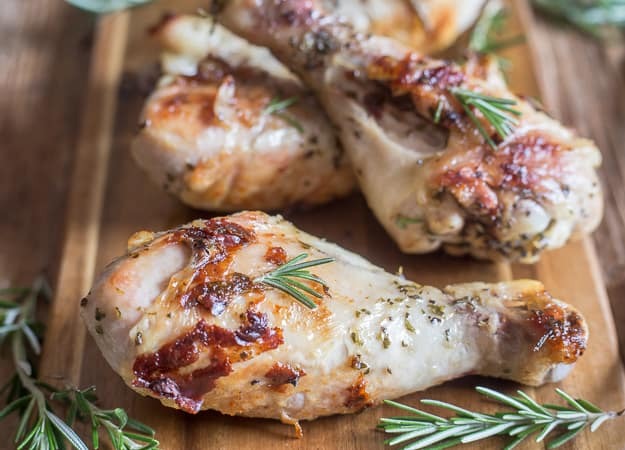 I love the flavor of rosemary with chicken! 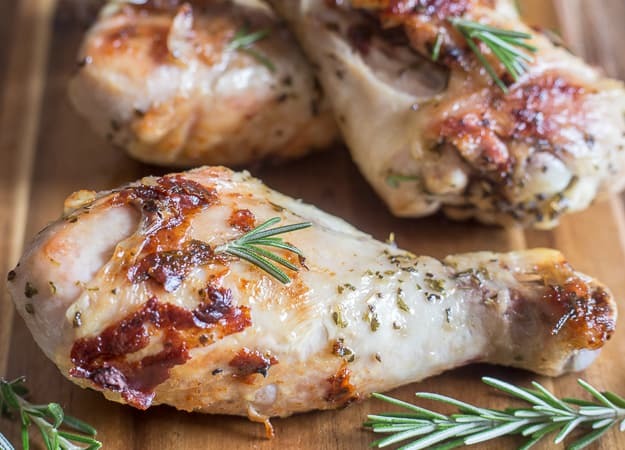 The perfect weeknight meal! Hi Tayler, thanks so much. Yum!! The chicken reminds me of my mamma. We used to have chicken every Sunday although she boned all meats. She then took the bones and made brodo. The cooking was simple Italian but the taste was phenomenal!! And I prefer the small towns in Italy to the large cities. I really enjoy talking to the people — they are all so friendly and they love to visit. Great recipe, like usual. Hi Marisa, thanks so much, my mother-in-law used to do that too! 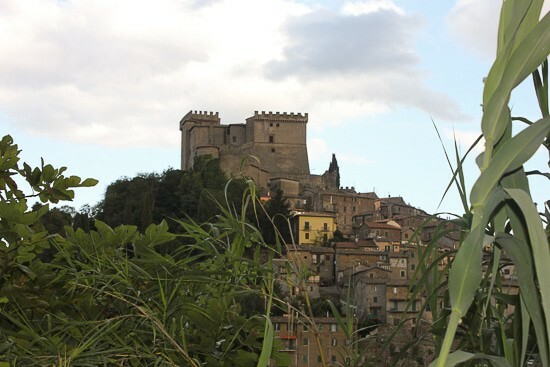 I know small towns in Italy are so beautiful. Have a great week. Could you do this dish with chicken breast? If so what would the cook time be? Hi Kelly, yes you can make it with chicken breasts, I would say go with the same time (they might need longer) check to make sure they are done by using an instant-read thermometer (the chicken should be at least 165°F when cooked). Hope that helps. Hi Rosemary – My mom also cooked lamb and rabbit this way. Rabbit is delicious this way – with sun dried tomatoes, pancetta, basil and potatoes. The potatoes come all sticky and golden. Hi Julie, my mother-in-law does it that way too and it’s really good. She also likes to add black olives. Thanks so much glad you enjoy it. Have a great weekend. I prepare it similarly with the olive oils, oregano, and garlic, but I add a leaf of basil, and pepper. What I change is that instead of water, I only add 1/4 cup of wine, and lower the heat; it will cook in very low heat for about 20 minutes and has its own gravy. I love it! I was surprised that the recipe I use at home would be so similar to the one used in Italy of all the places; I’m so happy, I love Italy. Hi Teresa, sounds delicious. I will have to try it. Thanks. This makes me hungry! Thank you for linking up to Creative K Kid’s Tasty Tuesdays. I pinned your recipe to the Tasty Tuesdays Pinterest Board. Ciao Rosemary, Soriano è molto carina. Mio fratello aveva una casa in questa deliziosa cittadina fino a poco tempo fa e ci andavamo spesso. Il pollo fritto è molto invitante, da provare sicuramente. Ciao Paola, grazie mille! Soriano e’ un paesino molto molto carino e sono contenta di averlo visitato. 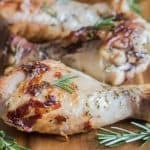 Fammi sapere come ti viene il pollo quando lo fai! Baci Rosemary.